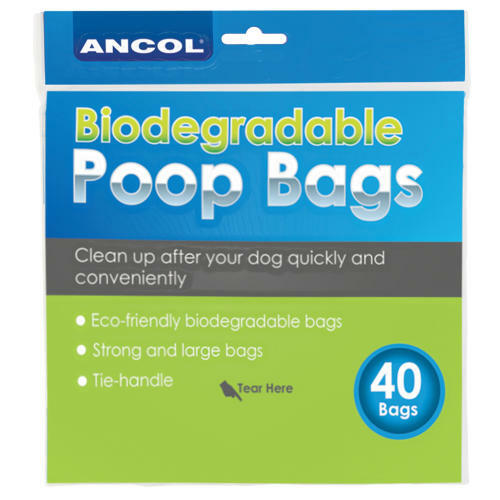 The Ancol Biodegradable Poop Bags for dogs are great quality with handles. These thick waste bags are biodegradable to lessen your dog's impact on the environment. They are easy to use, with 40 bags per pack.